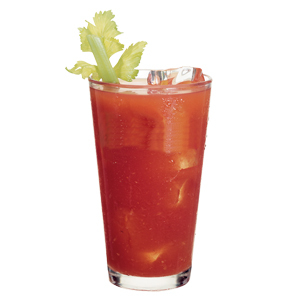 Search results for "Bloody Marys"
Making bloody Marys for a big crowd doesn’t mean you have to spend your whole brunch or tailgate playing bartender for everyone. 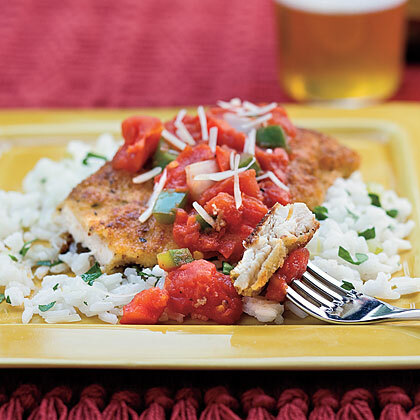 Our big-batch recipe makes enough for 10 people and frees you up to enjoy the party. 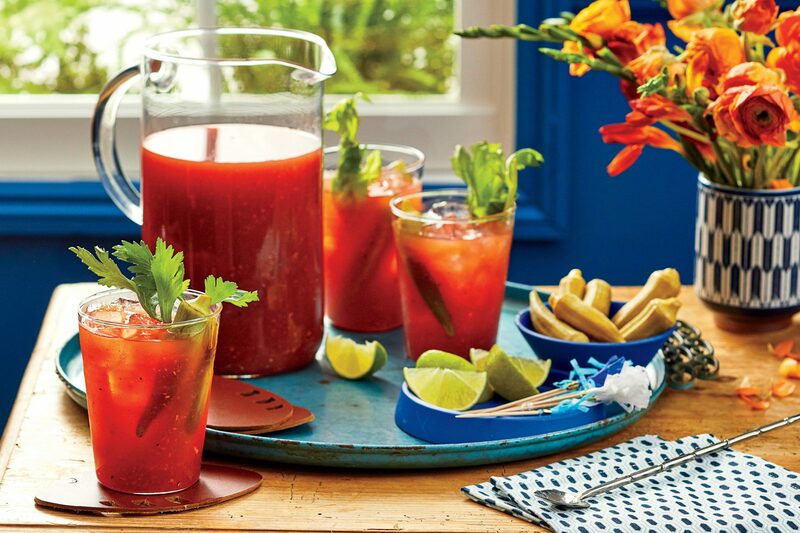 Set out these Big-Batch Bloody Marys in a large punch bowl or glass dispenser with your choice of garnishes next to glasses and a bucket of ice and let everyone help themselves. Even better, you can make this cocktail ahead. You can prepare the mixture up to two days in advance and store in an airtight container in the refrigerator; reserve the vodka and stir it in before serving. 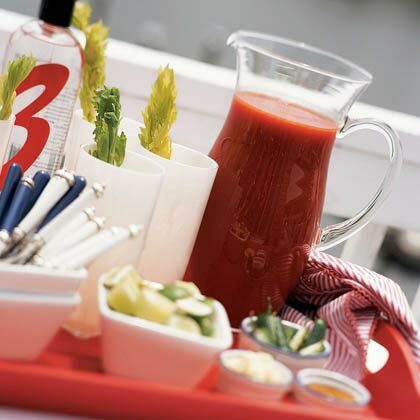 Relax over a pitcher of Bloody Marys with this easy recipe for the classic cocktail. 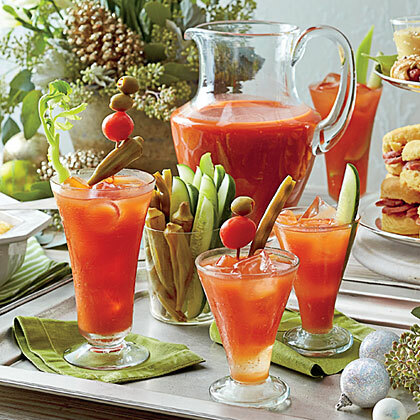 There's nothing like a cocktail to start (or end) a weekend morning. 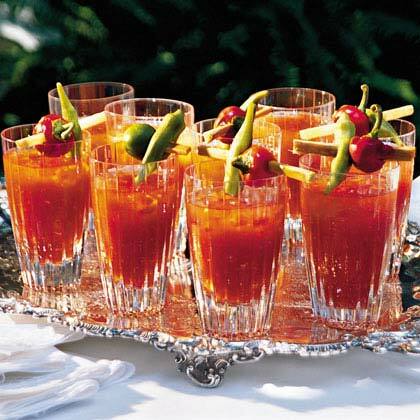 And a perfect Bloody Mary is my favorite. 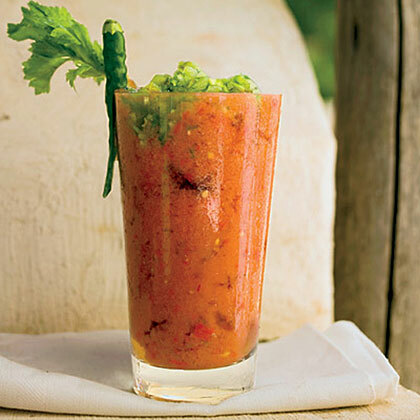 This zippy Bloody Mary Vinaigrette is made from all the favorite ingredients of the brunch cocktail of the same name. 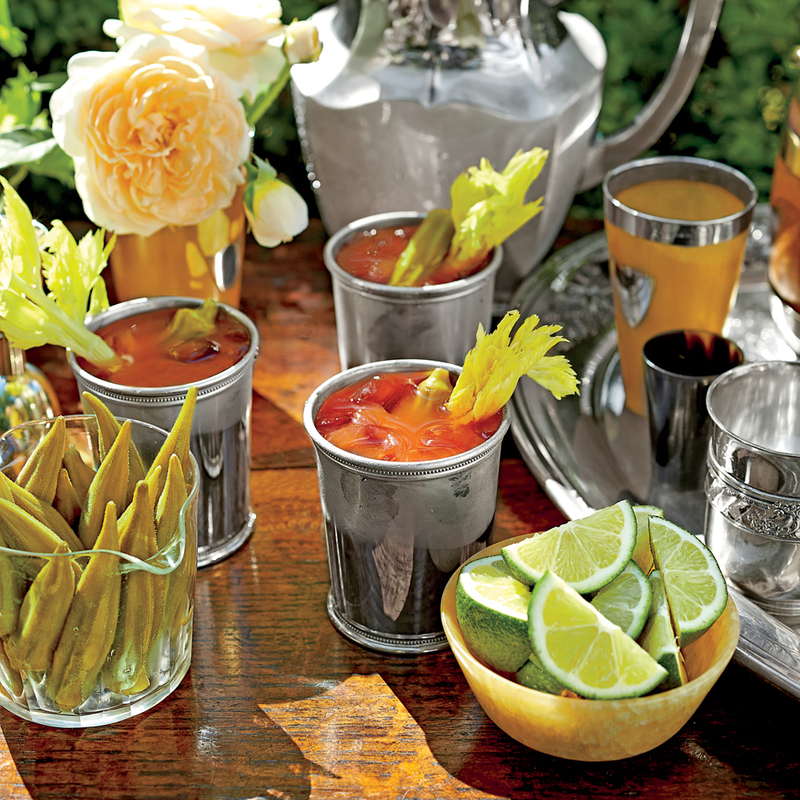 Rethink the Bloody Mary with our collection of classic versions as well as some unlikely contenders that feature the essential cocktail recipe. Bartenders at Commander's Palace skewer the garnish on a stick of sugarcane, but a wooden skewer works too. 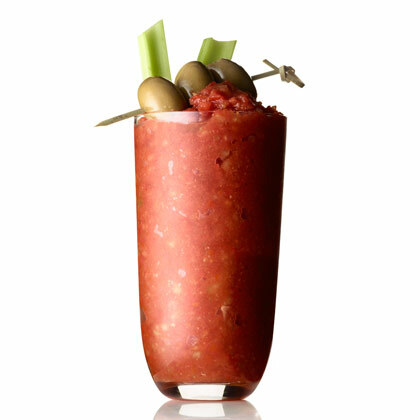 Make this bloody mary mix at least 3 days prior to serving.